A group of three great friends from England, Vietnam and Sweden came to visit Kyoto. 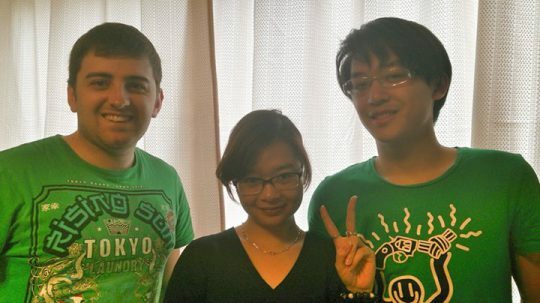 They tell me they met each other at a language school in Tokyo – no wonder their Japanese is great! We have no problems holding conversations in Japanese.